Pure and hard Heavy Metal ! 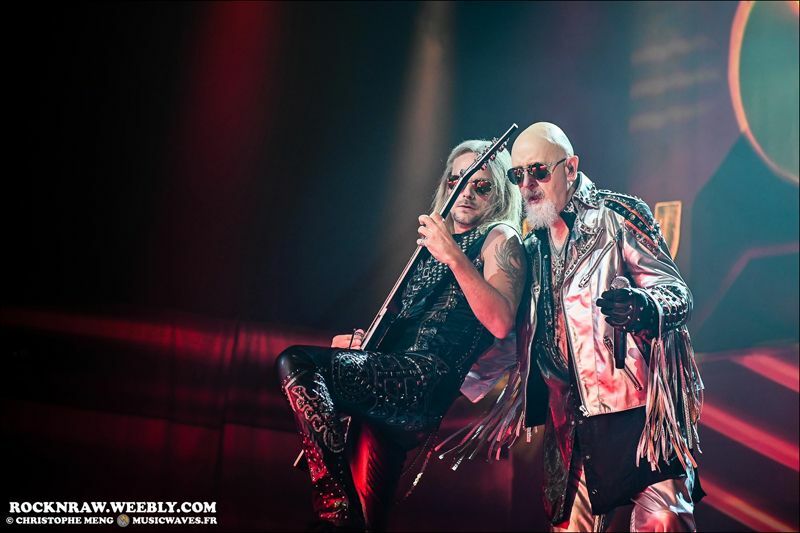 After Uriah Heep, who came five days earlier at La Cigale, it was the turn of another mythical British band, 50 years old, to start their European tour in Paris. 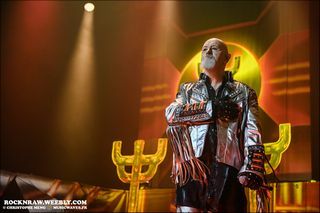 Judas Priest, like Uriah Heep, is still there decade after decade and is considered a reference and a pillar of heavy metal. 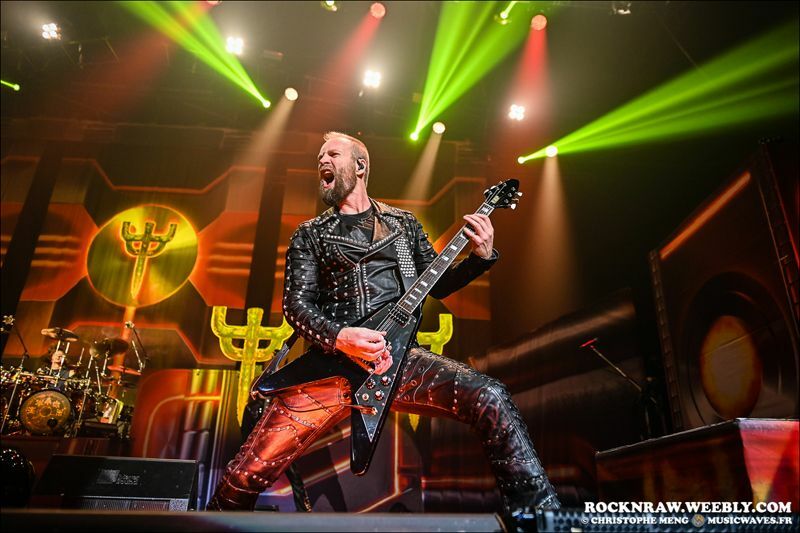 The only problem is that guitarist Glen Tipton has just left the band for health reasons and is replaced by Andy Sneap. It is a "big" Zenith (maximum configuration) that welcomes the metalheads tonight, even if the upper parts of the bleachers are deserted or have not found buyers. On the other hand, the pit is full to bursting, which augurs well for a hot and lively evening. It is the French group Disconnected that has the honour to open the evening. Back from a tour in the first part of Tremonti, they are fully inflated. Only problem: at the beginning of the set, the sound is rough but it will improve as the concert progresses. As for the discourse to support the French scene, here again what the public is demanding is quality, whether it is French, Guatemalan or Japanese. All these details, put together, make the service chopped and inconsistent. Whatever the case, the public is already thinking elsewhere and its silence is the obvious echo of it. What a contrast when the Priest arrives on stage! The Birmingham band starts to kill the crowd and it will last all along the show. The pit is molten, shaken by frenetic convulsions. Judas produces a quality heavy rock without frills. The one hour and forty-five minutes of the set, consisting of twenty-one songs, flow like torrents of molten steel. What pleasures for the senses! 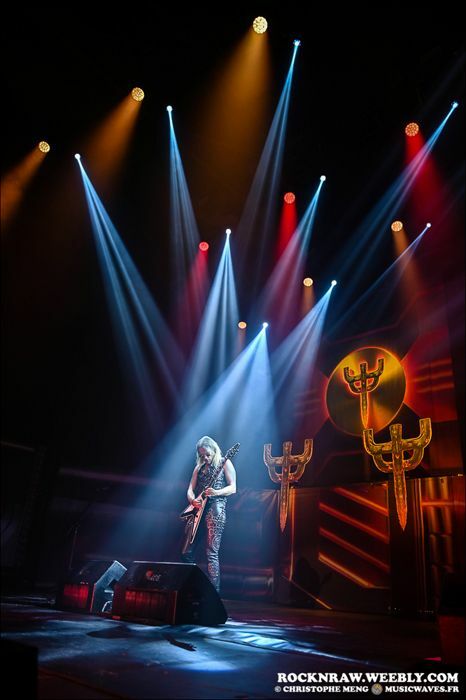 The luminous sets, displayed on the stage wall, accentuate this feeling of being at the heart of a gigantic forge. Each piece brings its share of delight. The absence of Glen Tipton (no matter what purists and picky eaters think) is never felt and the group shows a balance and osmosis of a formation at the top of its art. 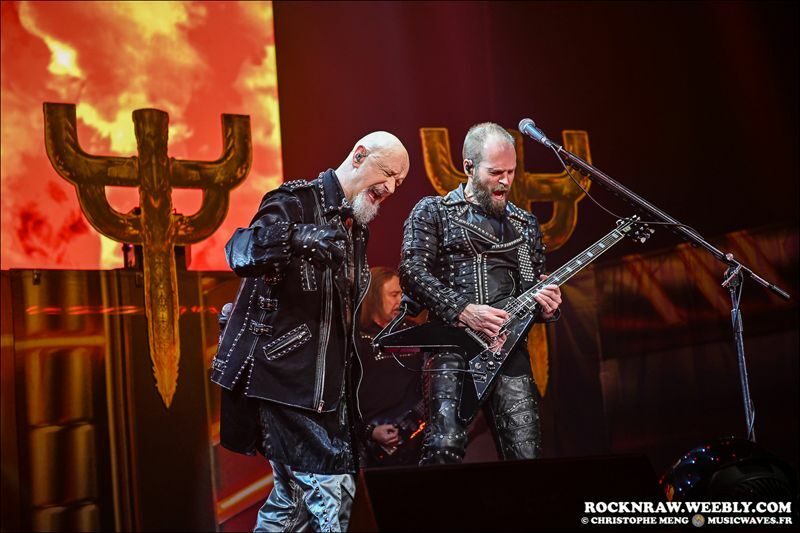 The audience is not mistaken and makes a triumph for the band after each song and growls with pleasure at each intro. 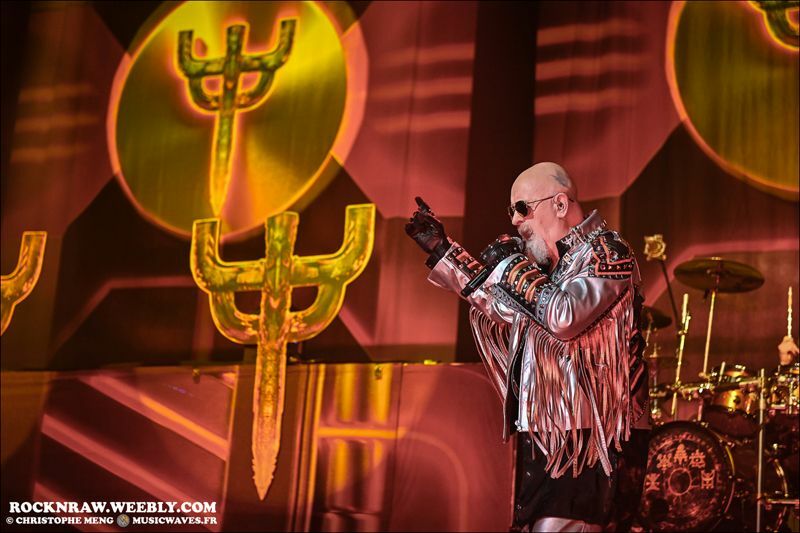 Rob Halford and his friends even reward us with a "Killing Machine" that they hadn't played on stage since 1978. The main set ends with an amazing Painkiller. The recall is stratospheric with in order'Electric Eye','Metal Gods','Breaking The Law' and'Living After Midnight'. The audience is bled to death but full of happiness. Great pleasure for all these heavy metal fans. 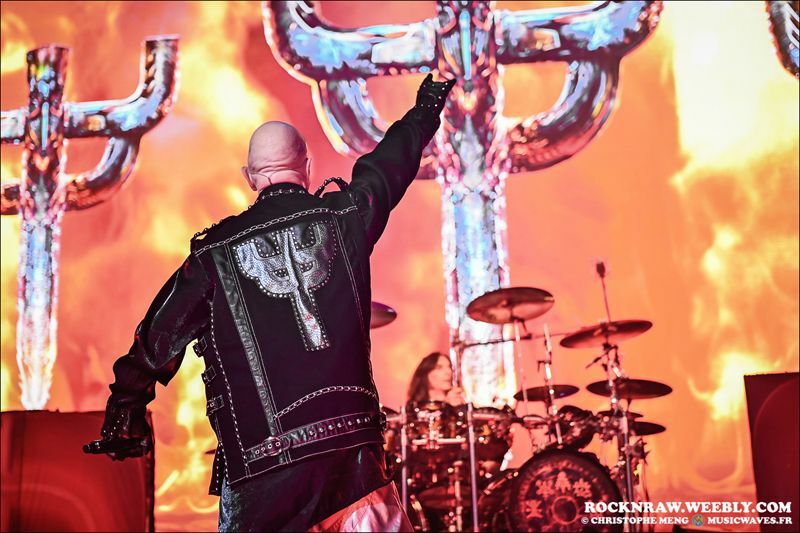 Like all good things, they have an end, but it is likely that we will soon find Judas Priest on our way (see the message "The Priest will be back" on the back at the end of the show) in a upcoming tour or the Spring Festivals. 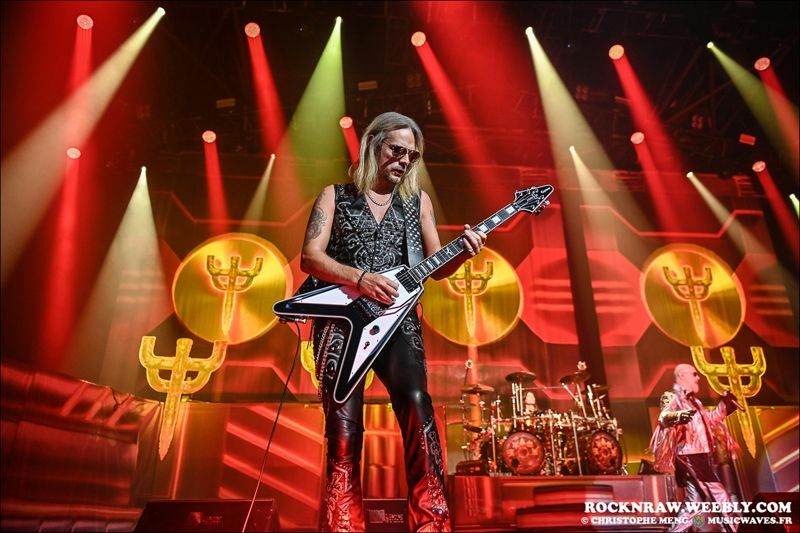 In any case, not to be missed under any circumstances the next Judas Priest performances which will delight any good heavy fan who respects himself. Judas still has the flame and carries the colours of heavy metal high.